The weather’s fine in Orondo and our lovely big Tieton cherries will be here Thursday the 21st. Some of you have already placed your orders and are on the list. Co-op Members who waited to pre-order should send me your case orders now by following the instructions below. The price is $90, same as last year. We’ll reserve a few boxes to sell by the pound in our store for those who can’t use a whole case. Cherries keep well for three weeks in the fridge if they are stored closed in their original plastic bag so you’ll have some for the Fourth of July. You can freeze a few, pit and all, for a special treat in the dark days of winter. A couple of sweet mouthfuls of half-thawed giant cherries are very special. Your household membership entitles you to special order tree fruit from Brian’s and Maria’s small orchard in Orondo, as we have been doing since 2009. If you would like to pre-order one or two cases of Tieton Cherries for delivery June 21, please place your order with me on my personal email: ehartmann7@gmail.com, following the instructions below. 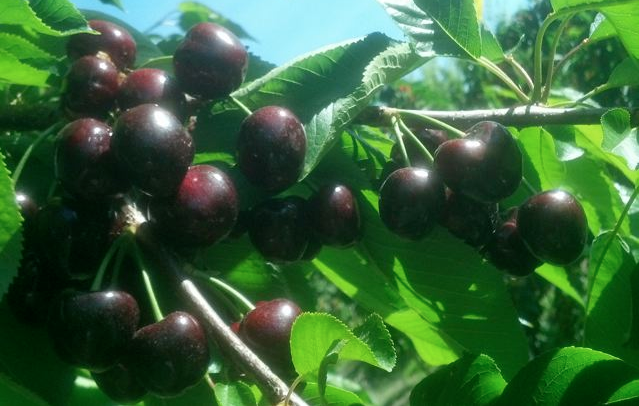 To order cherries, please contact me no later than the end of the afternoon on Tuesday, June 19, for delivery on Thursday June 21. About 30 cases will be available, first come, first served. Once you have sent your request and are on the list, your order is committed. I’ll send a confirmation email to everyone when orders are closed. If you find that you must cancel, please do so before the Tuesday order deadline so Maria doesn’t pack your fruit. Your cherries will be available for pickup before noon on June 21. You must pick up your fruit on Thursday before the store closes at 6 pm so that you can get them home and in the fridge. We have no cold storage and our store gets warm overnight; your cherries would suffer. If you can’t pick them up yourself, please arrange for a friend to fetch them for you and keep them cool overnight. Payments will be taken at the check stand when you pick up your cherries. The price is $90 — cash or check only please; no credit or debit cards for special orders. The cashier will have the list of orders and will check your name off when you pay and take your fruit. Brian and Maria Dennis have a ten acre farm south of Chelan on the Columbia River at lee side of the mountains where there is little pesticide drift from the commercial orchards. They are third generation orchardists and have grown tree fruit there for 35 years. They are good stewards of the land and use healthy agricultural practices. 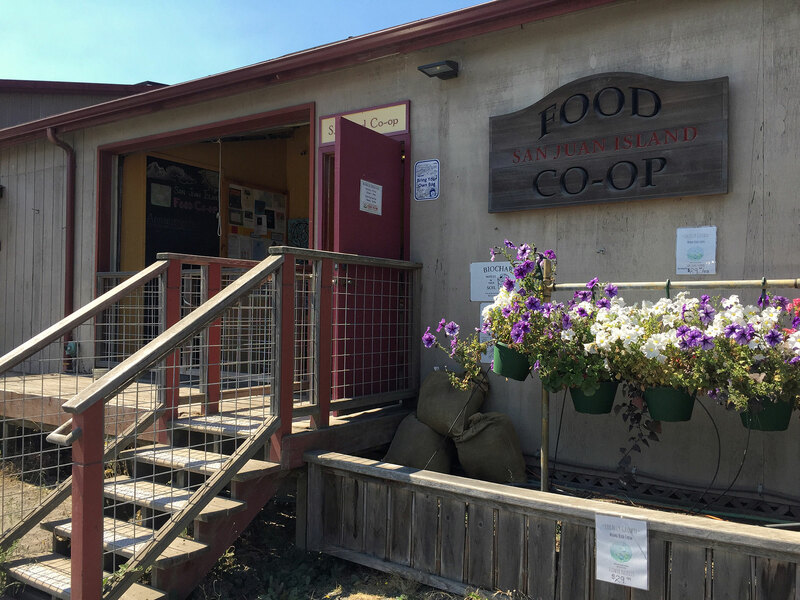 Maria has been delivering their wonderful fruit to our co-op from June through November since 2009. We get their fruit fresh from the farm so it is weeks fresher than fruit that has been long stored and much handled. It is available as it ripens on the trees and is harvested. Thank you for supporting the people who work so hard on their small family farms to grow, harvest, and deliver our local and regional foods!